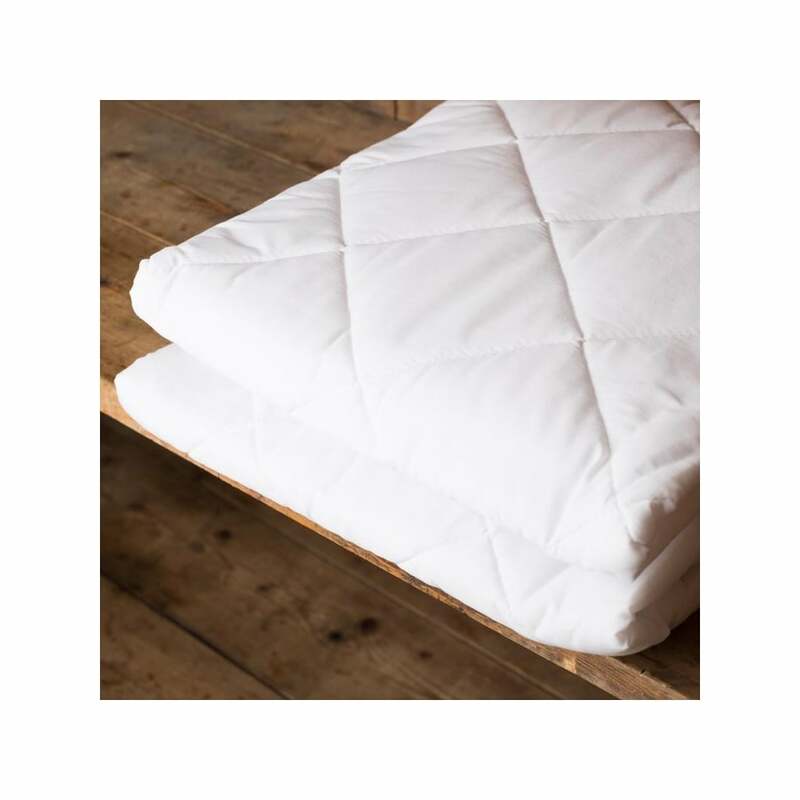 Extend the life of your mattress with our luxurious, superior, quilted mattress protector, made from super soft absorbent Polyester Cotton. This mattress protector provides excellent comfort and allergy protection due to the anti-microbial dust mite barrier. Finished with a polyester cotton cover which is generously filled with 80gsm polyester to ensure a good night's sleep. The diamond shape stitching ensures the filling stays in place for extra softness and unrivalled comfort, whilst your mattress remains well protected and in perfect condition. This mattress protector also has a side skirt, fits the mattress with elasticated corners like a fitted sheet and is fully machine washable.